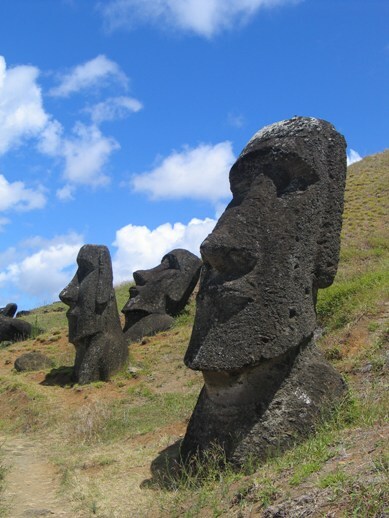 There can be little doubt the last Moai that was being carved on Easter Island was also the most expensive one in terms of its drain on the natural resources. So expensive was the production, in fact, the sculptors did not proceed. Perhaps the last subculture was the largest unfinished sculpture, which would have stood about 21m (69 ft) tall, weighing a massive 270 tons. Moai at Rano Raraku, Easter Island. 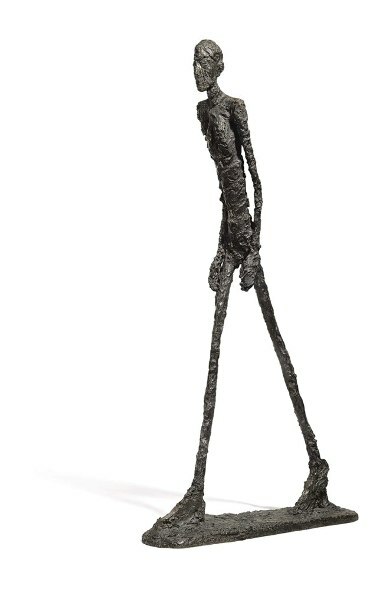 The biggest Moai is dwarfed, however, by Giacometti’s life-size statue “L’homme qui marche I” [Walking Man I] when compared in terms of carbon footprint. The Walking Man I was sold at an auction for a total price of $104,327,006. Allowing another $26 million dollars for previous sales and currency adjustments, so far $130million dollars have been paid and received to move the bronze sculpture from one ahu to another on Earth Island. Previously, in How Much Carbon Dioxide Does Your Money Make the CASF members calculated the equivalent amount of carbon dioxide produced for each dollar you earn, or spend, at a global average of 584g of CO2/GDP dollar (2008 dollars).